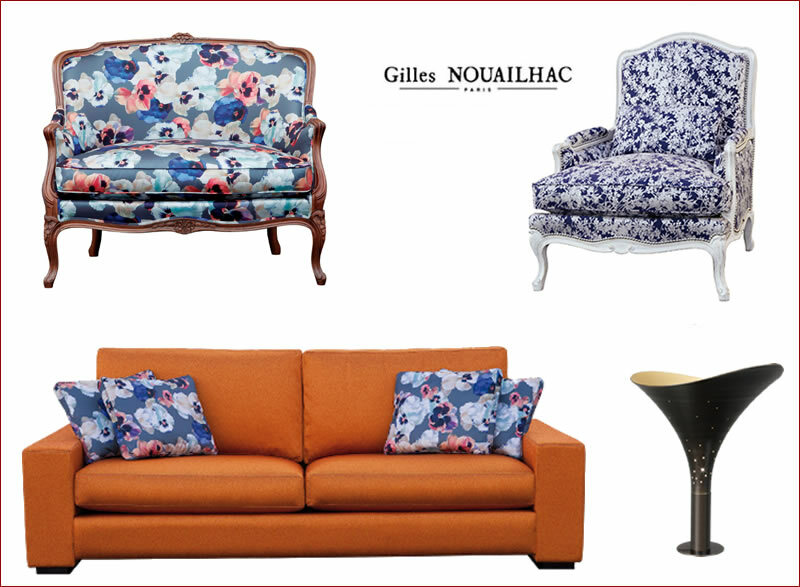 Gilles Nouailhac French furniture (Style and Tradition), available through Frenchy Furniture, offers a large selection of hand-crafted French items. Cherry wood, beech are finished with satin or distressed looks, perfect for those wanting a vintage style. Traditional upholstery methods are used with fabrics including horse hair and Individual springs for maximum comfort. All Gilles Nouailhac ‘s models are made on demand, in France. 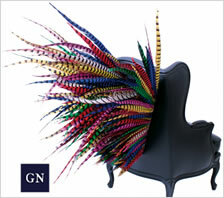 They works with the major fabric editor’s catalogues, so you can coordinate your home. You can also choose from our range of contemporary lacquers and ancient patinas to dress the wood of your future seats. Between historical heritage and new trends, classic wisdom and wild audacity, Gilles Nouailhac plays with contrasts, widening the field of possible interpretations of a chair.